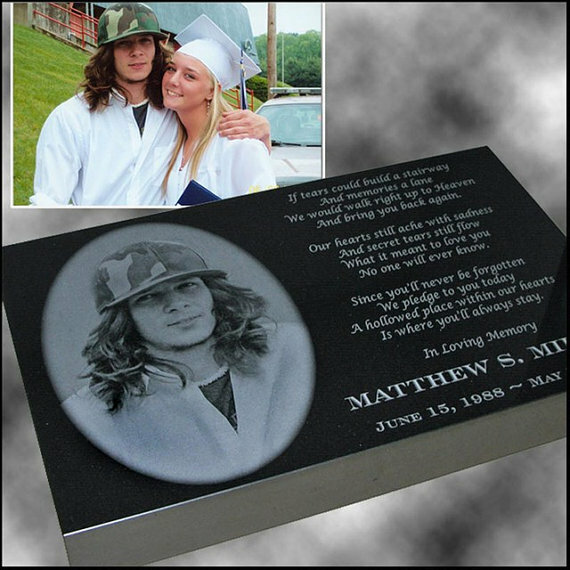 Our durable granite memorial stones and garden stones offer a perfect and affordable alternative to more expensive grave markers and headstones. 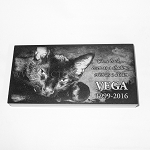 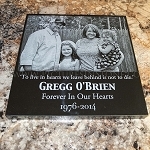 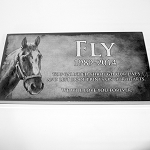 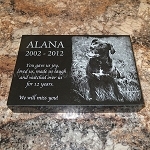 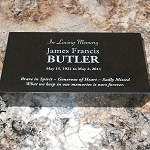 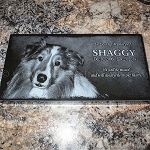 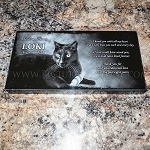 Laser engraved in the same granite as larger and much more expensive head stones, these polished black granite markers will be laser etched with any photo and text you desire and can last hundreds of years out doors. 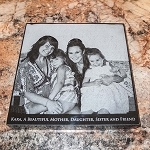 Your own photo will be resized to fit the stone of your choice and edited per your instructions. 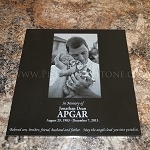 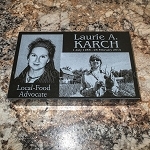 A digital proof will be emailed to you for your approval prior to engraving. 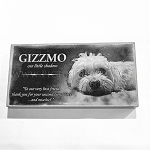 Choose from a variety of sizes either one inch or two inches thick.